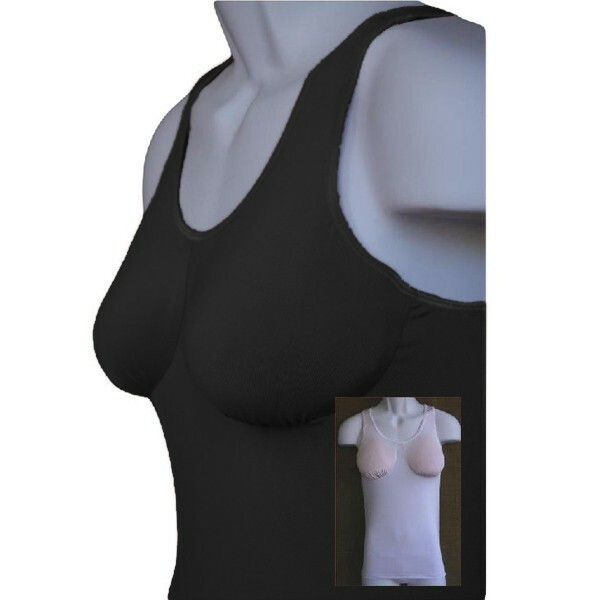 Bi-Lateral cami - This super soft Second Skin Polyesther/Lycra fabric and the absence of ANY under-bust elasttic will make this camisole a must have for all bi-lateral patients. Your breast forms will fit securely into the front, bust pockets. Since the pockets are part of the camisole and NOT sewn into a separate shelf bra, you will not have to deal with any under bust elastic riding up with every arm movement. Attention!!! This cami is for BILATERAL customers only! No room for a remaining breast!